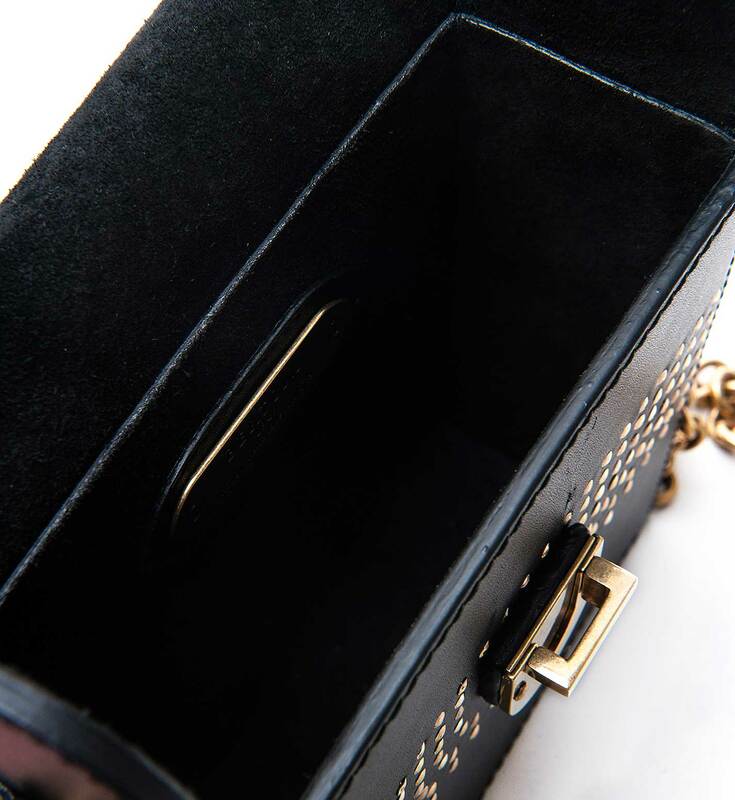 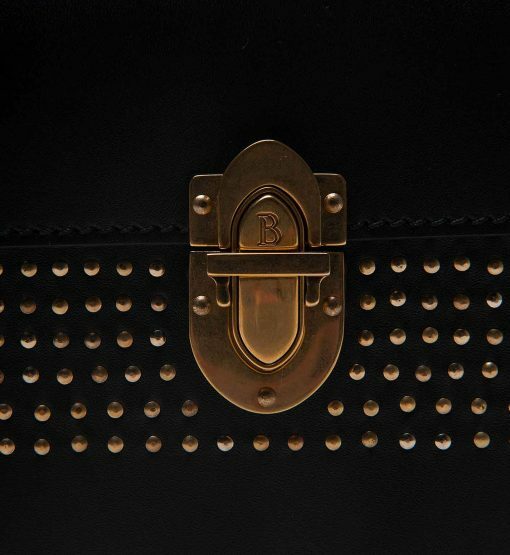 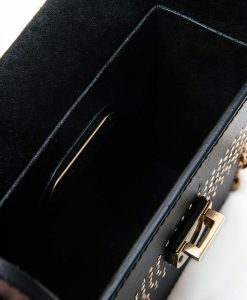 Founded in 1949, Bertoni is a heritage brand loved for its sophisticated, luxury and ladylike bags. 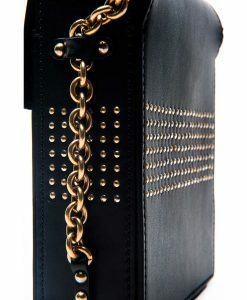 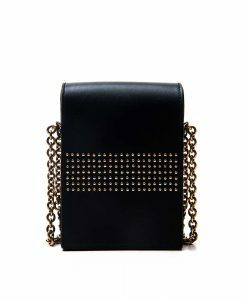 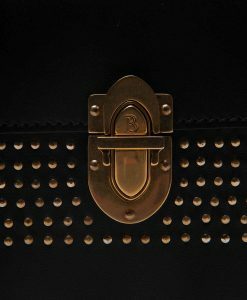 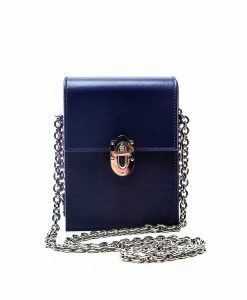 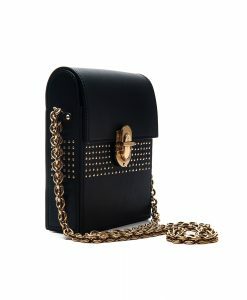 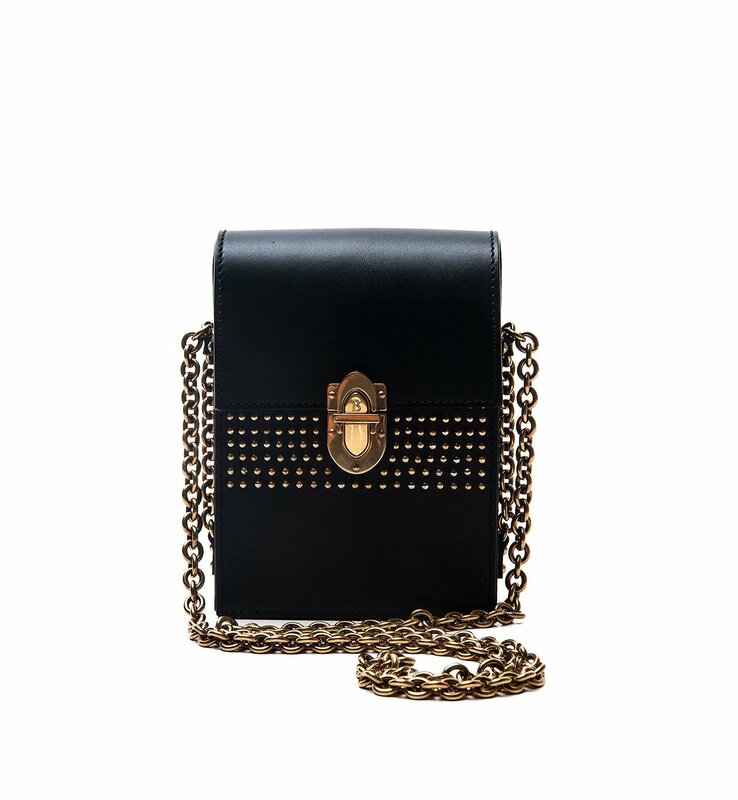 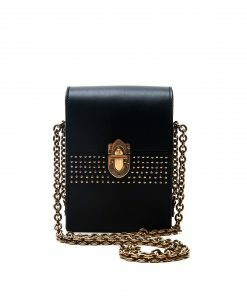 This Italian-made 'GIGI' shoulder bag is cut from supple black French calf leather, it's embellished with antique gold ornamental studs and metallic details, and has a structured and prolonged boxy silhouette. 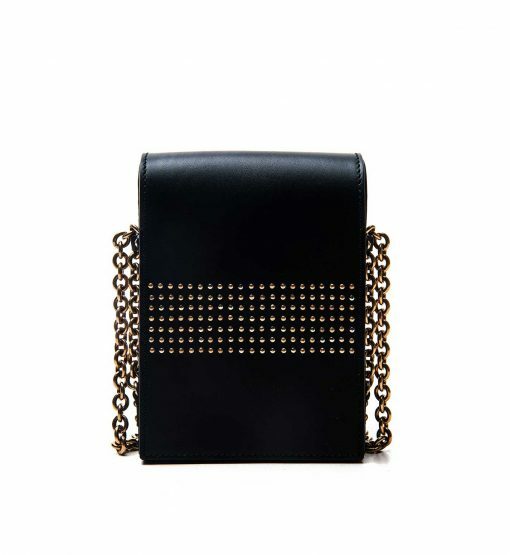 It's lined with black cotton. 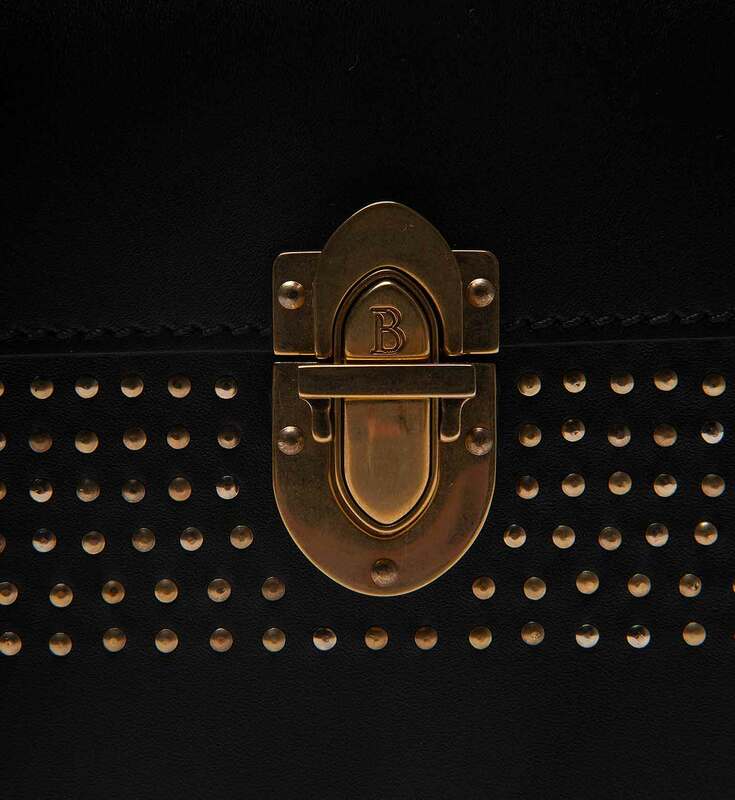 The antique gold metallic hardware is custom made — engraved with brand's recognizable letter B — which makes this lady bag even more special.